March 11th in Wordpress Plugins by Wordpress Jedi . 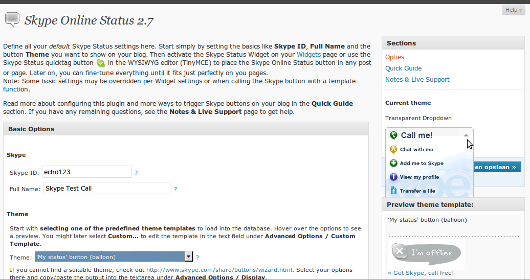 Skype Online Status: allows you to add one or multiple Skype buttons to your site. You can place them on your pages and posts. The script comes with its own shortcode and template tags. Neat Skype Status: adds Skype buttons with official status icons to your site. Your status updates won’t require page reload. You could use your own custom icon too. Yahoo Skype Status: this simple plugin covers Yahoo and Skype status options. Name, type, and smile settings can be modified easily. 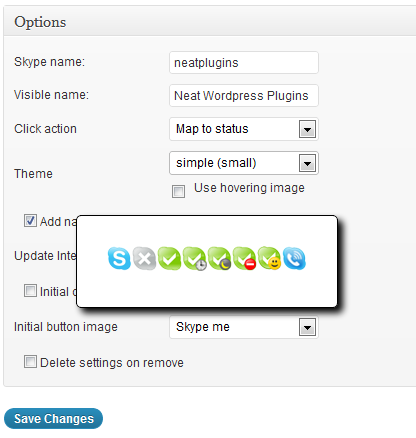 You don’t necessarily have to rely on these plugins to add Skype to your WordPress site. But these do make the process easier.